This year, she was able to use augmented reality (AR) as part of the Education Library’s instructional programs by setting up with unique AR targets designed to engage students in key collections and resources. The project was a successful collaboration between the Chapman Learning Commons, iSchool, and the Education Library. “We’re also excited about community engagement with the library,” says Wendy, referring to innovative programs like the Seed Library and the Young Learner’s Library (YLL). The Education Library is in process of developing the YLL into a flexible, multi-purpose area that addresses both a need to support joint Library/ Faculty of Education programming as well as a need to have a space that is welcoming and appropriate for local caregivers and kids. As it continues to develop, in both physical features and programming, it will also serve as a model for teacher candidates of what a contemporary school library learning commons could look like, as well as opportunities for rich learning experiences for iSchool GAAs with an interest in Children’s Librarianship as well as alternative practicum placements for Education students. 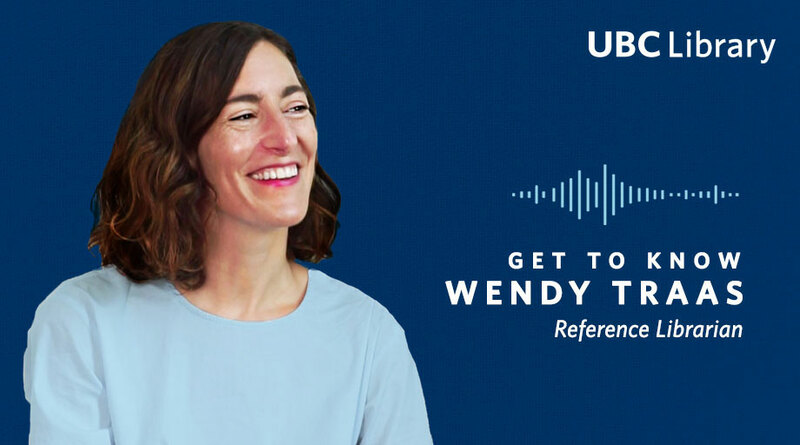 Although Wendy isn’t new to UBC anymore, she has plenty of helpful advice to any librarians who are just coming on board. “New hires should get in touch with all the other new librarians because they should know that they’re not alone,” she says, adding that she appreciates the support network that exists at UBC. Learn more about the Education Library’s initiatives. Wendy Traas is one of UBC Library’s 2018 Employee Recognition Award winners, receiving the Innovation Award for her outstanding work. Read more about the awards and this year’s recipients.